Our dedication to our customers' satisfaction doesn't end with system installation. Westfalia employs full-time Savanna.NET® software developers who install and perform application installation, training and support work for each customer. It's very important to consider the support requirements of an application. Oftentimes, customers realize they need to spend additional funding to make applications current or make modifications as their business processes changes. With Savanna.NET®, we employ a straightforward support model that will continue to work with you to enhance and keep your application current and prevent it from becoming a legacy system. 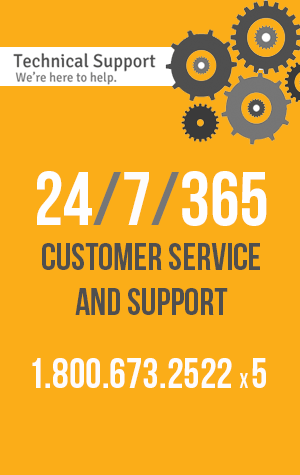 Through the Savanna.NET® annual Software Support Services Agreement, a software expert is always on call - 24 hours a day, 7 days a week, 365 days a year and you will always talk with a live person during every call. Westfalia understands that training is an ongoing process to ensure warehouse operations reach their full potential. Westfalia offers a variety of certified Savanna.NET® training options for users of all levels before they begin using the software. This training, provided by a Savanna.NET® application expert, provides an easy and quick transition to the new software system. Detailed training documents for both users and instructors are included with each installation. Savanna.NET® is a flexible inventory management solution designed to grow with your changing business processes. This flexible design allows Savanna.NET® to be customized to each client’s individual needs with the ability to expand with individual modifications or upgrades as needed. Savanna.NET® can be enhanced by client-driven customizations. Customizations are easily added to the module or further enhanced as requested. In addition, the Savanna.NET® architecture allows for seamless upgrades. As we develop our software with new and innovative solutions, clients continue to benefit from these enhancements via a strict version management, yet simple upgrade process. Savanna.NET® provides a flexible and stable code base that has backward and forward compatibility with various versions of the application. Savanna.NET® maintains stability and backward/forward compatibility with each version release, simplifying the version upgrade process. To ensure quick and cost-effective version upgrades, Savanna.NET® uses a one-click build process for both continuous integration builds which are automatically executed after every change committed to the build tree, as well as for new release builds.